We were DC people. We lived there for 5 years and we loved the city, our friends, and life in the US. Then a work opportunity came that I couldn’t turn down – a life abroad in Germany. Chick-fil-a for dinner and a one way ticket to Germany. Farewell America! Things happened quickly. Movers invaded our 600 square foot apartment and packed our lives into a rusty shipping container double-parked on the street. 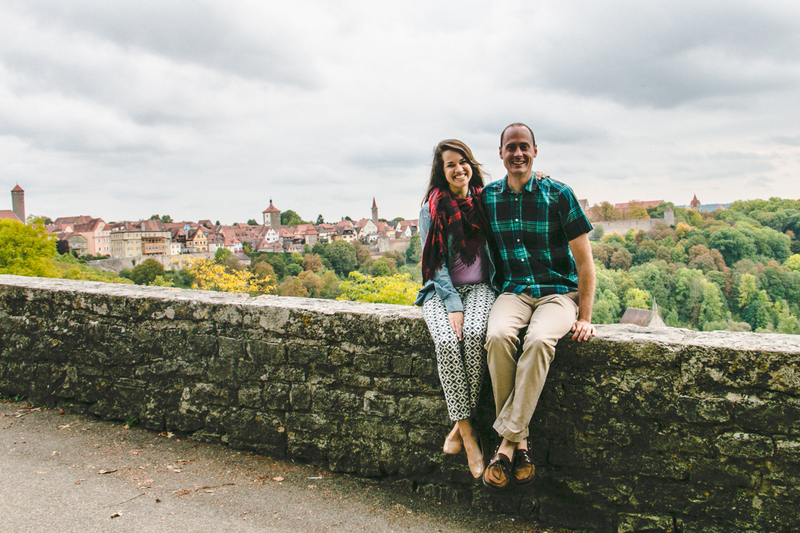 In August 2013 we moved into a 3rd floor walk-up apartment in Heidelberg, Germany. Life was so different. Everything was confusing at first – recycling, driving, and working, all of it took time to unravel and understand. Slowly it become second nature and despite the language barrier, Germany started to feel like home. In June 2014 we got married at a rural church in Virginia and toasted to our favorite German wine. We returned to Europe and maintained a fast-paced buzz across the continent via cheap RyanAir flights, Airbnb’s, and bright eyes. Europe won us over. 5 years ago my cute neighbor challenged me in 'chubby bunny' (a summer camp marshmallow eating contest), now he's my favorite travel companion, dear hubby & other half. happy 30th my love! ?? // photo cred @goolia516 ? In August 2015, my project ended and like the sudden calm of a storm, we boarded a one-way flight home to the US. But what was next? We didn’t know. Heidelberg had become a moment in time that we wanted to preserve forever. For awhile we toyed with relocating to Sydney, Honolulu, and San Francisco but instead of joining the workforce and figuring it out, we headed to Southeast Asia. Cashing in our air miles we got tickets to Bali and departed in August 2015. We spent the next 2 months on beaches, in jungles and at food stalls. Pad thai stole our heart along with the kind, humble people we met. reef views at lunch after a morning spent swimming with fish of every color & one beautiful reef shark! ??? In October 2016 we returned to the US with a brand new perspective on travel and awareness of the importance of work-life balance, realizing that perhaps we weren’t city people after all. On January 1, 2016 we settled in Charlottesville, Virginia. We’re back to our Virginia roots and couldn’t be happier. Now our journey continues. Stuart, my 3 year old schnoodle, has been a cuddle monster since we returned from our big trip overseas. I've made countless promises to never leave again but it's going to take a lot more convincing and peanut butter filled Kongs.